I am not a person who hates. Life is too short to get bogged down in such a negative emotion. One of my personal mottos is ‘Keep yourself nice’, from Kaz Cooke’s immortal Hermoine the Modern Girl, so I always try to see the good in people and understand where they’re coming from, even if they have views that I can’t countenance, or behave in ways I find abhorrent. the Charlene song ‘I’ve Never Been to Me’, because her assertion that there are ‘things a woman ain’t supposed to see’ offends my feminist sensibilities. GTFO. Disco music – I hated it in the late 1970’s because it meant many venues changed from live bands to recorded music, which resulted in a loss of income for musicians. Now I appreciate its cultural significance and its fabulous sound. Molly Meldrum – I used to think he was a mumbling scatterbrain, but now I appreciate his deep love of music and musicians and his contribution to Australia’s musical history. Coffee – I was only ever a tea drinker, but was urged by a friend to get a taste for coffee when he and I were planning a trip to Italy. I owe that friend a debt, because coffee is DELICIOUS. That’s it for the hate – except I have an unshakeable hatred for the Collingwood Football Club. I see their supporters, players and officials going round this Grand Final week all excited and happy, but I can’t get behind them. If my own team, Melbourne, had made the Granny, I’d be behaving exactly as Pies fans are. In the past two years, I was fine with the joy of Richmond and Bulldogs supporters and was cheerful when they won their respective premierships. Why can’t I do this with Collingwood? It’s not about that club, in contrast to mine, having working-class roots and therefore its culture being foreign to me – these days, with the demise of zoning rules and the expansion of the competition, supporters of all clubs come from across the socioeconomic spectrum. It’s not about Pies fans, either. I don’t subscribe to the ‘toothless, uneducated bogan’ stereotype and I don’t find jokes on that theme funny. (The same goes for all tired stereotypes. If I never hear another ‘joke’ about Demons fans going to the snow, it will be too soon.) I mean, I have occasionally encountered a rabid, unpleasant Collingwood fan, but you get those kinds of fans at all clubs. For example, the whingeing, sore-loser Hawthorn fans I found myself sitting next to at the recent first semi-final at the MCG were pretty damn horrible. And it’s not about the occasional racist and sexist behaviour by certain Magpie officials, past and present. Again, they’re not Robinson Crusoe. Their statements have been reprehensible, but I know the club itself has made great efforts to change and does not now subscribe to such beliefs. I have looked deep inside myself for the reasons for my Collingwood hate, and have decided it is due to two things: my upbringing, and envy. I was born into a family of Melbourne supporters. My parents and all my aunts, uncles and cousins barracked for the Demons and so, like many footy fans, I don’t remember ever having a choice about who my team was. (Or of ever wanting to switch my allegiance, even though the club’s glory days were more than a decade in the past, and we were perennial losers by the time I started going to games.) My dad had seen all but two of Melbourne’s premierships. Five of those were against Collingwood, and we’d played a sixth Grand Final against them that the Pies won. So the rivalry between the two clubs was intense, and it seeped into my blood. I learnt that whenever we played them the stakes were higher than when we played anyone else. A win was sweeter and a loss more bitter. So that’s the upbringing part. The envy part is down to the fact that all my life I’ve seen Collingwood have more success than the Demons. The Magpies have played in the finals many more times than we have, and have won a couple of flags. Yes, I know they have also lost 26 Grand Finals over their lifetime (we have ‘only’ lost five), and that, as a Pies supporter friend of mine recently said when I mentioned I was writing this article, they have had ‘an appalling lack of success relative to the shitloads of resources they have (amazing training facilities, dozens of coaches, high-altitude training, etc.)’. But knowing those things doesn’t help. I’ve also envious of the level of fan support they have. 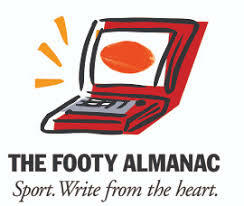 Until 2001, the Melbourne Football Club’s membership numbered less than 20,000. This year the club has hit an all-time high of 44,000. Collingwood achieved that in 2003, and this year their membership stands at almost 76,000. I have always been incredibly jealous of how many members the Pies have, because it means that every second person you meet barracks for them (which is not only tiresome but means they attract ever more members as their supporters persuade friends and relatives to share their allegiance), and also that they have had the wherewithal to provide their players and officials with excellent facilities while my club (and others who have been financially strapped in the past) have struggled along with sub-standard resources. Look, I’m not proud of this jealousy, but it’s real. I wish I could be happy for all my Collingwood-supporting friends this finals season, but it’s just not going to happen. I’d wish them luck for the Grand Final, but I just can’t. I don’t actively want the Pies to lose, but I certainly don’t want them to win. Footy’s weird, hey? Katie also wrote on week one of the finals. CLICK HERE to read that piece. Kate, I’m not into hating Collingwood. I am taking the opportunity to pump up my Pie fan friends any chance I get this week. Cakewalk and all that. I expect them to win, and win well. And if they don’t, well I will sympathise. As long as I can.